The 71708 8 tread Platform Fiberglass Stepladder has a Multi-functional Holster Top to keep tools organized and safe on the ladder. 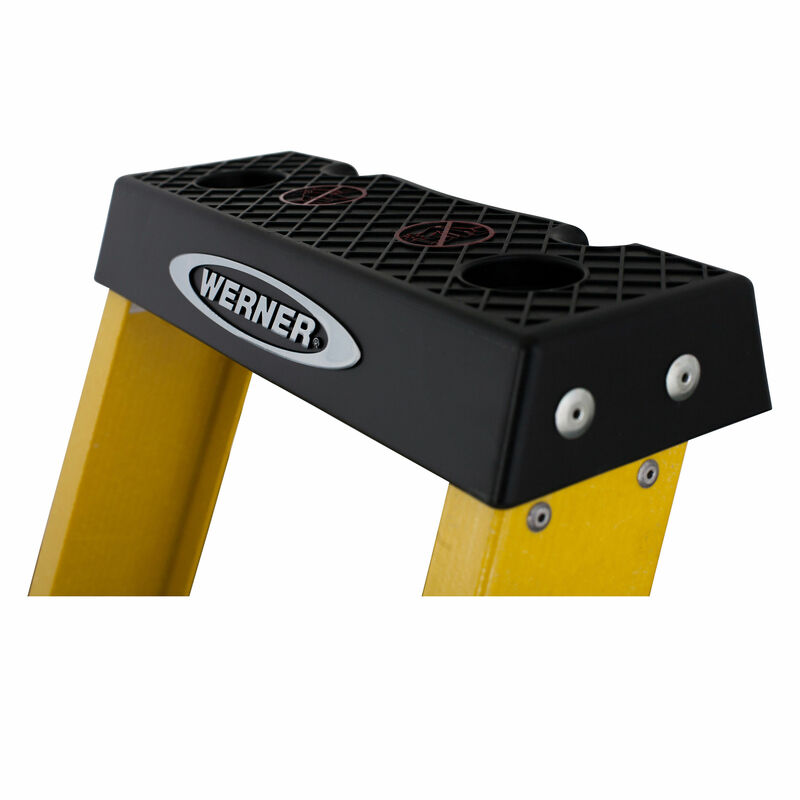 With non-conductive stiles, this ladder is ideal for working around electricity. 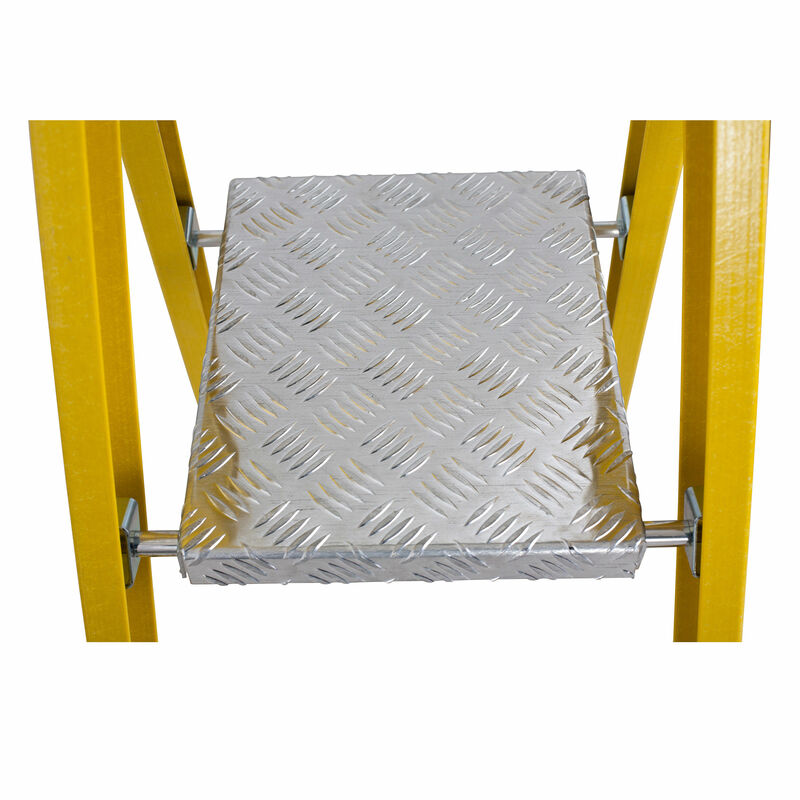 Features include a large platform to a provide secure and comfortable work area, slip-resistant steps for comfortable standing and EDGE bracing to help prevent rail damage. With a platform height of 1.88m, this ladder works indoors and outdoors. Suitable for professional use.